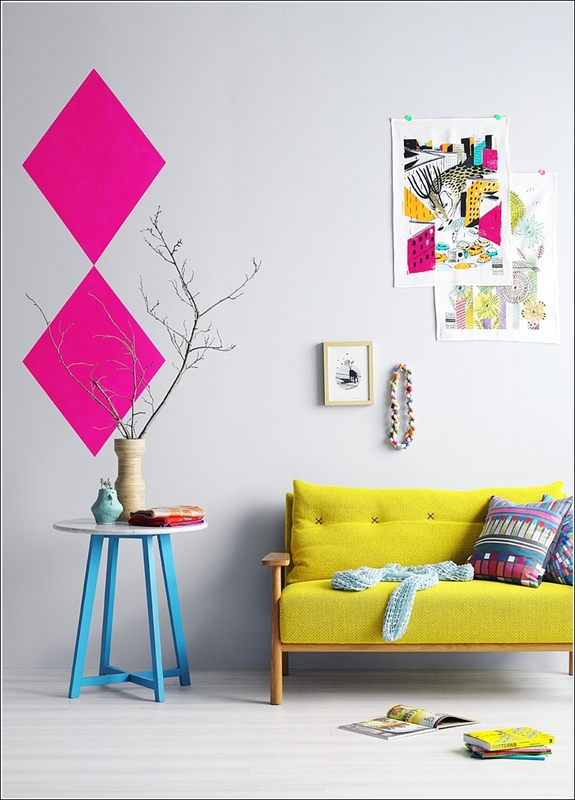 Add Some Neons to Your Interior for Some High Voltage Cheerfulness! 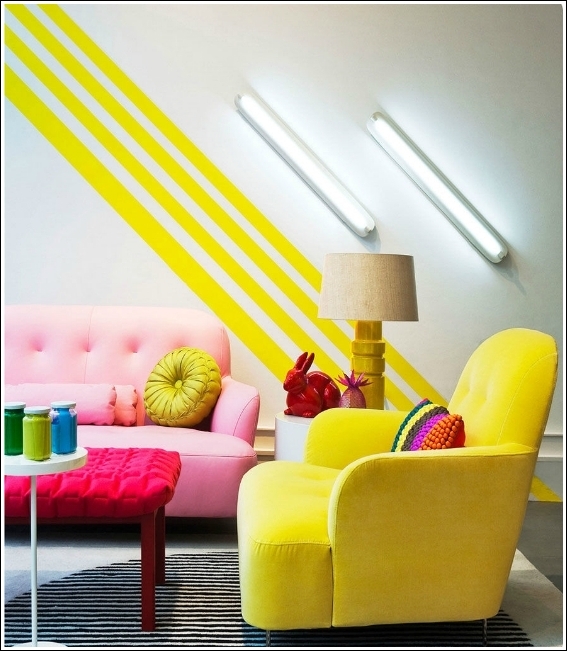 This one is a living area that is having neon colours in yellow in the form of striped on the wall, a lamp, a throw and a big sofa seat. These are added another zing through a flashy pink coffee table. This one is another living room that is having a yellow couch, a neon blue table and two patches of fluorescent neon pink onto the wall. 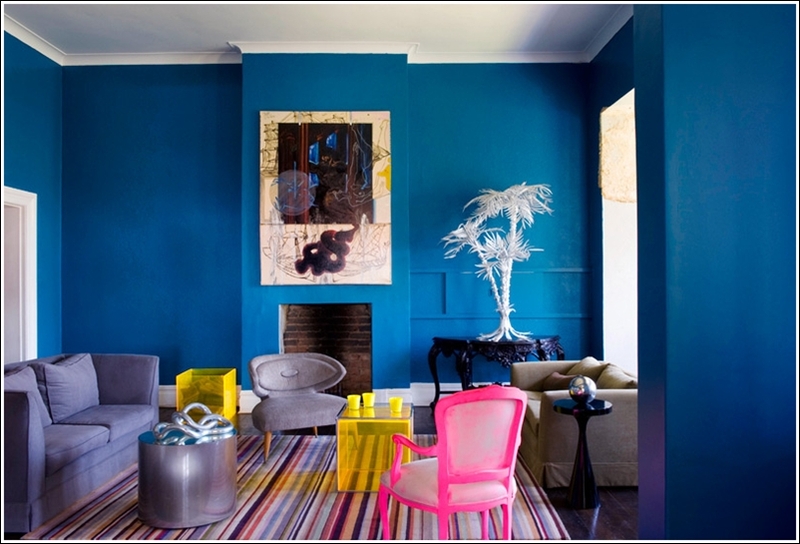 This living area is having deep blue hues in most of the area but suddenly their monotony is broken with pops of neon yellow seat and a neon orange rug. 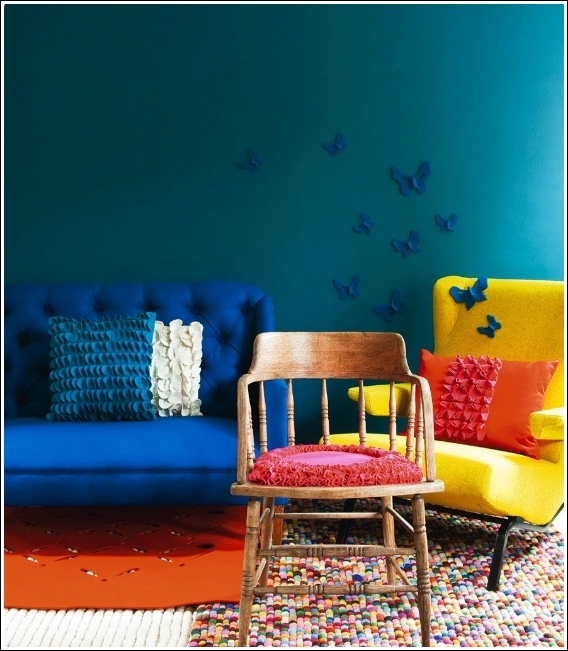 With this a pom pom rug containing multiple colours including neon is all that was needed. This one is another living area to give you an idea that neons not only look good with white but they can also be added to darker walls. That is why here is a living room that is all in dark tones added sudden freshness with neon pink chair and neon yellow cubic low tables. 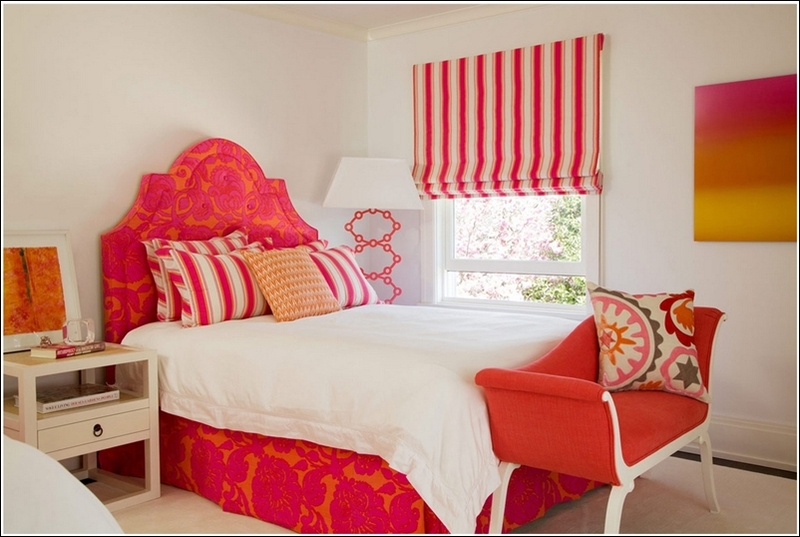 This room is having an upholstered bed with a neon pink and orange print. It is balanced with a white bedspread and a bedroom bench in neon orange is placed at its end. With this striped Roman shades in neon orange and white colour are in unity with the pillows. 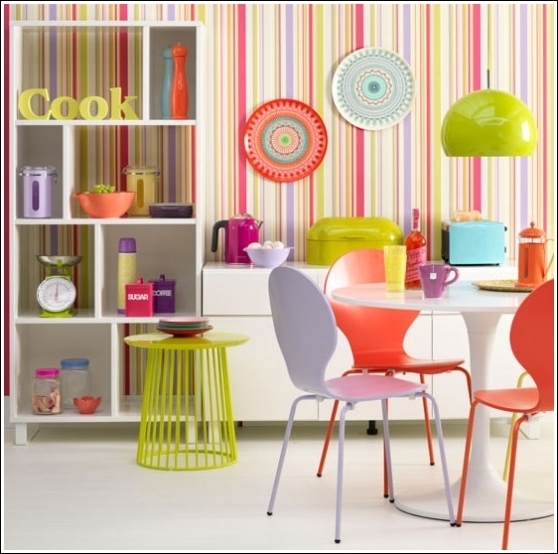 This one is a dining area containing each and every neon colour you can think of. From things placed in the shelf to the whole furniture everything is in neon hues. This room is in neon blue giving you a sense of freshness. Pops of neon pink and neon orange are also added to it. 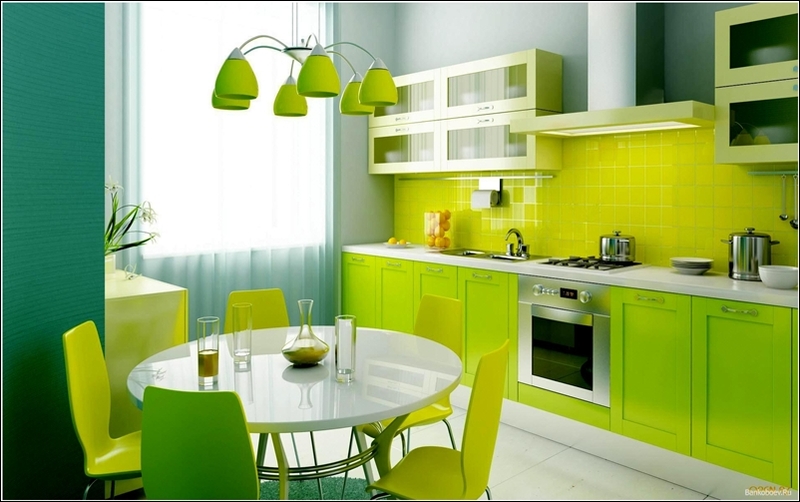 Finally this is a kitchen that is having a colour combo of neon green and white all over. Who will not like to cook and eat here?